A portable and affordable self-treatment device for back pain. 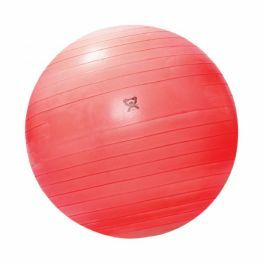 BakBalls are an ideal way to reverse a typically forward-bent posture. Activities such as sitting, typing, talking on the phone, sleeping and driving place us in a forward-hunched position. 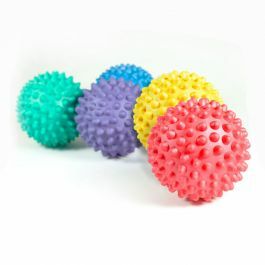 BakBalls stretch your spine and allow you to sit and stand up straight and reverse inherently bad postures. 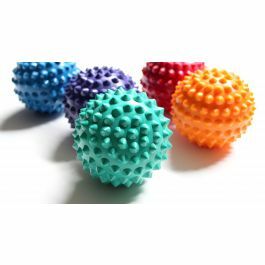 The use of BakBalls is one technique that can prevent and treat your back pain which may assist in improving your posture, reducing your pain levels and back stiffness and improving your quality of life. Excellent for relaxation and stimulating blood circulation. Non-slip surface is ribbed for extra security. 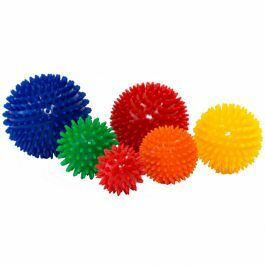 The DJO spikey massage ball is used by physiotherapists for many variations. Enhances traditional pilates and yoga poses. Ideal for body massage and also helps relieve tension. 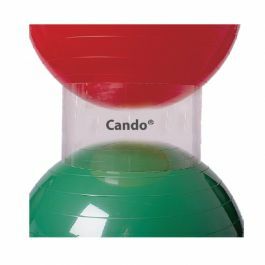 Provides users with a simple and effective way of storing exercises balls.